I've been looking to whiten my teeth for a while, they are kinda stained from drinks and food over the years. 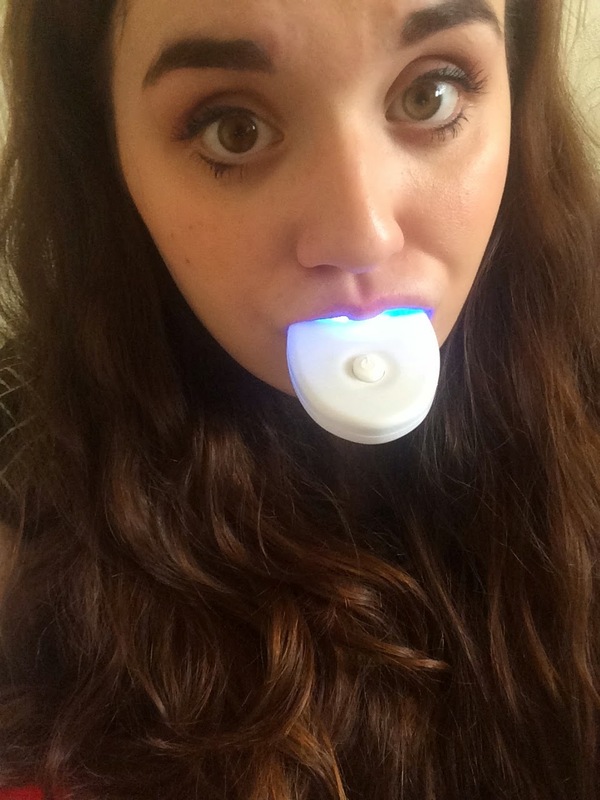 I have never gotten around to it as it's so expensive to whiten at the dentist and I can't really justify the cost. I never really considered using home whitening kits as I got the impression that they either aren't very effective or they damage the teeth and gums. 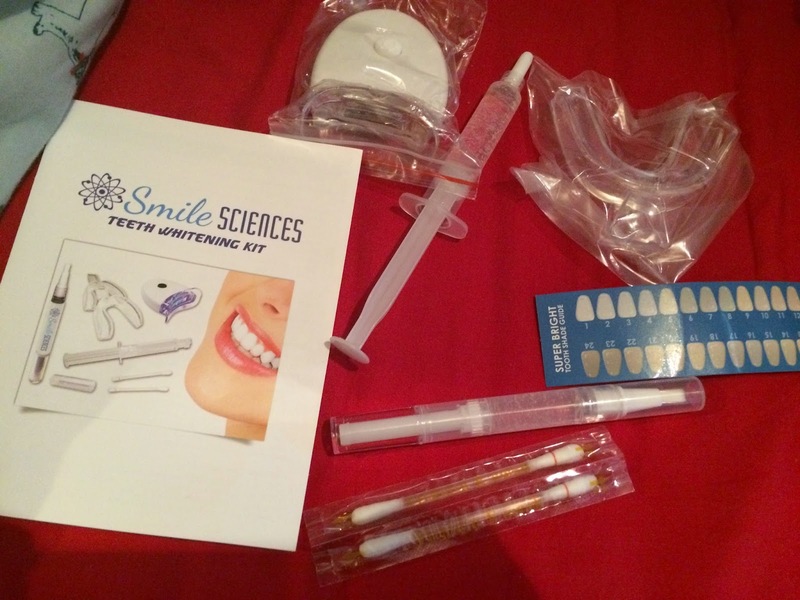 A couple of months ago I started watching reviews of a kit by a company called Smile Sciences (based in the USA). Seeing lots of reviews eased my mind a little and I became intrigued about this kit after seeing some pretty amazing before and after pictures. I decided to go ahead and try this kit and here is my review. Here is my before and after. I used the kit twice to get these results and they are noticeably whiter. I wouldn't say that they are 10 shades whiter though which is what some reviewers claimed. Included in the kit is a syringe of solution, 2 teeth guards which you form to fit your own mouth, 2 vitamin E swabs, a touch-up pen and a UV light to activate the whitening process. I went ahead and moulded my guards and lined them with a thin line of solution. I put them in my mouth along with the UV light. I waited 20 minutes then rinsed my mouth with cold water. I am really pleased with the results, considering the kit can be bought pretty inexpensively. My mouth did get cut a little bit on the inside and its fairly uncomfortable to have something bulky in your mouth for 20 minutes but I'd say it's worth it to get good results. It's available from www.smilesciences.com and there's coupon codes all over the internet and even from their website to reduce the price down to $29 including shipping. I'm based in the UK and it took 3 weeks to arrive.